Standard formalin preserved dogfish sharks. 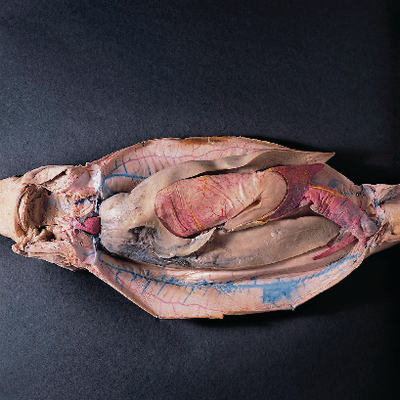 Dogfish sharks, Squalus species, are a popular teaching specimen for biology and anatomy courses, specifically used for the teaching of cartilaginous fish anatomy. Dogfish will either be species Squalus species or Mustelus canis. They are also great animal models to study comparative and vertebrate anatomy. Packaging: Packed in pails or vacuum-sealled bags.